Miami Cancer Institute Enhances Genitourinary Cancer Program with Addition of Prominent Urologist Christopher Gomez, M.D. 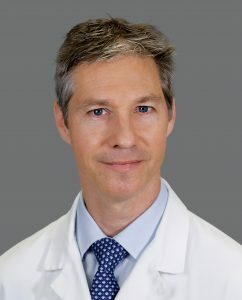 MIAMI, FL – November 28, 2018 — Christopher Gomez, M.D., a urologist specializing in the treatment of urinary incontinence and genitourinary reconstruction, has joined Miami Cancer Institute, part of Baptist Health South Florida and the state’s only member of the Memorial Sloan Kettering Cancer Alliance. Dr. Gomez has advanced training and expertise in female pelvic medicine and urogenital reconstruction, as well as minimally invasive surgical techniques that are associated with reduced side effects, pain and recovery time for patients. He joins the Institute’s impressive team of urologic cancer care experts, led by renowned physician Murugesan Manoharan, M.D., chief of Urologic Oncologic Surgery. Dr. Gomez collaborates closely with medical oncologists, radiation oncologists and surgical oncologists to enhance quality of life in patients during and after cancer treatment. Dr. Gomez earned his medical degree at the University of Miami Miller School of Medicine in Miami, Fla. He completed a residency in urology at Jackson Memorial Hospital, University of Miami Miller School of Medicine. He also completed a fellowship in female urology, urodynamics and reconstruction. He is Board certified by the American Board of Urology and certified in Female Pelvic Medicine and Reconstructive Surgery. Dr. Gomez is actively involved in clinical research to improve treatment efficacy and patient outcomes. He has been recognized for his research accomplishments, academic achievements and clinical excellence and named one of the Best Doctors in America by Best Doctors, Inc. He serves as an editorial reviewer for Central European Journal of Urology and World Journal of Urology and is widely published in numerous peer-reviewed scientific journals. He is a member of several professional societies, including the Society for Urodynamics, Female Pelvic Medicine and Urogenital Reconstruction and the American Urological Association. Miami Cancer Institute is a next generation cancer center known for its leading clinical care, compassionate patient experience, clinical research and state-of-the-art technology – including the first proton therapy center in South Florida, Latin America and the Caribbean, and the only radiation oncology program in the world with each of the latest radiation therapies in one place. The Institute offers a robust roster of prominent physicians established in the community, in addition to renowned cancer experts, clinical researchers and genomic scientists recruited from the nation’s top cancer centers. As Florida’s only member of the Memorial Sloan Kettering (MSK) Cancer Alliance, Miami Cancer Institute is part of a deep and functional collaboration that affords patients access to innovative treatments right here at home and ensures the standards of care developed by our multidisciplinary disease management teams match those at MSK. Heralded nationally as one of the new “hybrid” cancer centers of the future, Miami Cancer Institute represents the next generation of cancer centers in the country, combining well-established, high-quality community-based cancer care with the best of an academic cancer center – offering patients innovative clinical trials tied to research and genomics and the recruitment of disease-specific surgeons, medical oncologists and radiation oncologists who are experts in their fields. For more information, visit MiamiCancerInstitute.com. Miami Cancer Institute part of Baptist Health South Florida, the largest healthcare organization in the region, with 10 hospitals (Baptist Hospital, Baptist Children’s Hospital, Bethesda Hospital East, Bethesda Hospital West, Doctors Hospital, Fishermen’s Community Hospital, Homestead Hospital, Mariners Hospital, South Miami Hospital and West Kendall Baptist Hospital), more than 40 physician practices, 50 outpatient and urgent care facilities, Baptist Health Medical Group, Baptist Health Quality Network and internationally renowned centers of excellence spanning across Monroe, Miami-Dade, Broward and Palm Beach counties. A not-for-profit organization supported by philanthropy and committed to our faith-based charitable mission of medical excellence, Baptist Health has more than 19,500 employees and more than 3,000 affiliated physicians. Baptist Health South Florida has been recognized by Fortune as one of the 100 Best Companies to Work For in America and by Ethisphere as one of the World’s Most Ethical Companies. For more information, visit BaptistHealth.net/newsroom and connect with us on Facebook at facebook.com/BaptistHealthSF and on Twitter and Instagram @BaptistHealthSF.